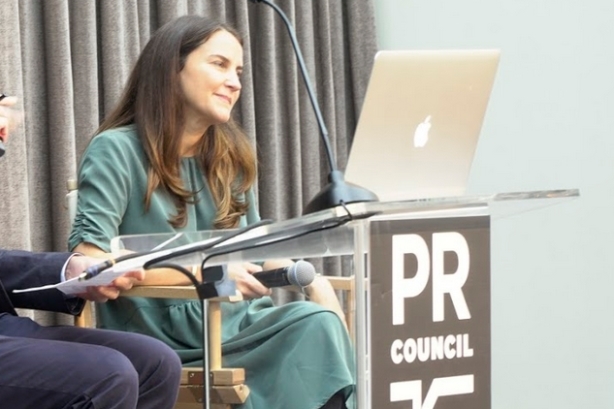 WeWork's Jennifer Skyler and other comms leaders discussed social issues and tech at PR Council's Critical Issues Forum. NEW YORK: The most globally covered moment in WeWork’s history was its decision in July to no longer serve or pay for red meat, poultry, or pork at company events, said WeWork chief communications officer Jennifer Skyler at the PR Council’s Critical Issues Forum on Friday. Skyler spoke about WeWork’s approach to social issues at the New York event. WeWork’s policy change was announced in a July memo by cofounder and chief culture officer Miguel McKelvey. In the memo, the company cited research from a study published in Science that says avoiding meat is one of the most substantial ways they can limit their environmental impact. By eliminating meat from all company events, WeWork estimates it can save 16.6 billion gallons of water, 445.1 million pounds of CO2 emissions, and 15.5 million animals over the next five years. Skyler explained that WeWork’s decision to go meatless relates to its strategy on causes. "If we take a stance, we’re going to take action, and not just sign a letter," she said. "On that issue, all of our leadership felt really strongly that they wanted to take a stand. And we have whole plan for [causes], a holistic plan. But they wanted to start on meat and go big and take a stance early." Skyler said the no meat policy had a huge comms impact for the company and that WeWork had "never seen that level of coverage." Additionally, last November, WeWork said that over the next five years, it will hire a total of 1,500 refugees. The meat policy and WeWork’s refugee hiring initiative are just the first the company has planned, Skyler said. She hinted that WeWork will have more social responsibility news in January including details on its plans to become plastic-free and carbon neutral. Skyler, who was previously director of consumer comms for Facebook, said working for founders with such strong visions requires a dual approach: you have to acknowledge their strengths but fine-tune how their vision is presented. "The reason we are where we are is because of their brilliance and vision," she said. "So you have to kind of let them be who they are on some level because that’s why we’re here." She added, however, that she will step in sometimes and tell leaders, "Maybe you should say it this way," or, "Let’s pivot here." In a different panel at the event, Greg Hitt, VP of corporate communications for Walmart; Andrew McCaskill, leader of global communications and multicultural marketing for Nielson; and James Siewert, MD at Goldman Sachs, talked about communications in the age of automation. All three acknowledged the increasing role of technology in addressing comms challenges. McCaskill said Nielsen’s efforts to reach diverse audiences would be impossible without working in social channels and mobile devices. Siewert said technology lets Goldman promote the expertise of its employees, giving them a reach they never could have had before. Hitt said a social media presence has been vital for Walmart. It has enabled the company to be part of conversations about its brand and monitor problems as they develop. "It doesn’t take very long for videos to jump channels and become crises," he said. Where tech still needs work, they noted, is in measuring the effectiveness of comms initiatives. Siewert said the measurement problem grew especially obvious after he became responsible for branding and saw how success was measured in the earned versus paid media worlds. He explained that he has pushed those teams together and is trying to find a way to "level set" what the value is on earned versus paid. On the marketing side, every campaign seems to work, he said. However, on the earned side, it’s not so easy. "They’re all bits of data on a computer or mobile phone and we should be able to convert them and see where we should spend our incremental dollars or hours and get the best bang for our buck," said Siewert. "The big challenge is trying to look at everything we are putting out there and judge it apples to apples." Hitt also said delving into measurement statistics can be frustrating. "I find if you ask too many equations the numbers don’t add up," he said. McCaskill agreed, saying the measurement challenge has been a perennial problem for him. "That part, for us, is super hard," McCaskill said about measuring performance. "I have three agencies that support the work we do in multicultural [areas]. And I am constantly trying to get them to speak the same language. An impression in one place and an impression in another place can be two different things." This story was updated on October 1 to correct Skyler's title.